This 12x12 Sticker Sheet has a large assortment of Stickers. You'll find Tickets, Tags, Borders, Tags and other Shapes to help you embellish your Craft Projects. 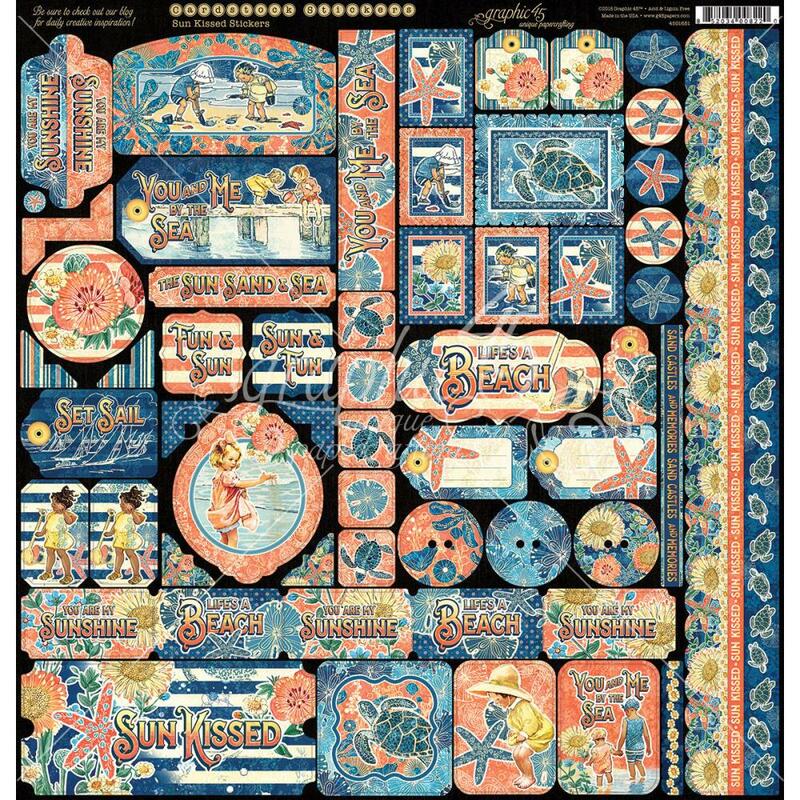 Part of the Sun Kissed Collection by Graphic 45. Look for coordinating Chipboard Elements, Ephemera Journaling Cards & Designer Cardstock.